In different sources of Sunni sect, mourning and reading dirge for Imam Hussein (PBUH) is something that has been emphasized by scholars of this sect. 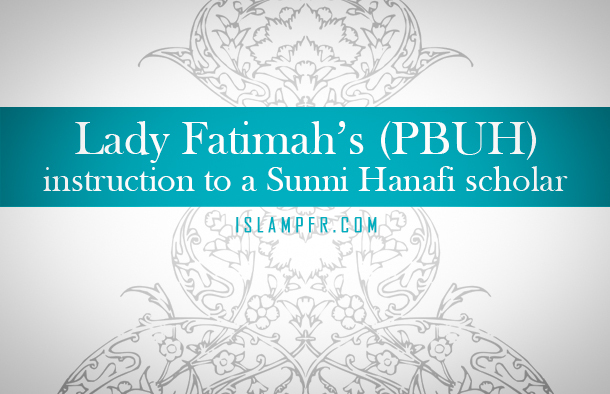 Meanwhile, some of these hadiths and narrations or revelations that are attributed to Lady Fatimah (PBUH) are of particular importance because of her significant position for Muslims. In this article, we will mention two narrations quoted from Sunni brothers’ books of revelations wherein Lady Fatimah (PBUH) recommends mourning for her martyred son. It is interesting that the writer of the book Mu’ajam al-Udaba is Yaqut Hamawi, who is known to have enmity and opposition toward Imam Ali (PBUH) because of association with Khawarij (a group of Muslims who rioted against Imam Ali (PBUH)) and Nawasib (those who hate Imam Ali (PBUH) or Ahl al-Bayt). Finally, it should be mentioned that we, regardless of our ideology, shed tears of blood over severed head of thirsty oppressed Imam Hussain (PBUH) and we take up the cudgels for our Sunni brothers against Wahhabis and we won’t let them take the blessing of crying and mourning for Imam Hussain (PBUH) from them, since crying and mourning for the oppressed grandchild of the messenger of Allah (PBUH) is not just for human beings; and all creatures are mournful in this grief.